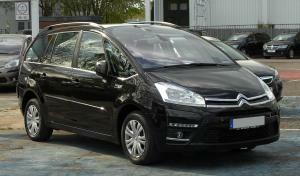 The 2010 Citroen Grand C4 Picasso diesel was the fastest selling used car in the UK in October, new data has shown. According to figures from Auto Trader, the Citroen took an average of just 19 days to find a buyer last month. The Toyota Aygo, Vauxhall Astra and Chevrolet Orlando were all close behind, also spending an average of 19 days on a dealer's forecourt before they were snapped up. Following the VW emissions scandal that broke in September, there were no VW cars on October's top 10 fastest selling used car list. However, Karolina Edwards-Smajda, Auto Trader director retailer and consumer products, said: "Despite not featuring in this month’s top 10, speed of sale and market prices of the majority of VW models has not been noticeably impacted throughout October, and we are yet to see any changes in consumer demand." She added: "It’s been exactly a month since the Volkswagen Sharan topped the national fastest sellers list in September, so we will continue to monitor developments and trends closely over the coming months."